If you observe the below screenshot, We have one Empty Database (TRANSFERDBTASKS). In this example, we are going to transfer few tables along with data from [Adventure Works DW 2014] database to [TRANSFER DB TASKS] Database using Transfer SQL Server Object Task in SSIS. 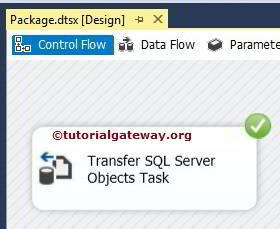 STEP 1: Open BIDS and Drag and drop the Transfer SQL Server Objects Task from the toolbox to control flow. 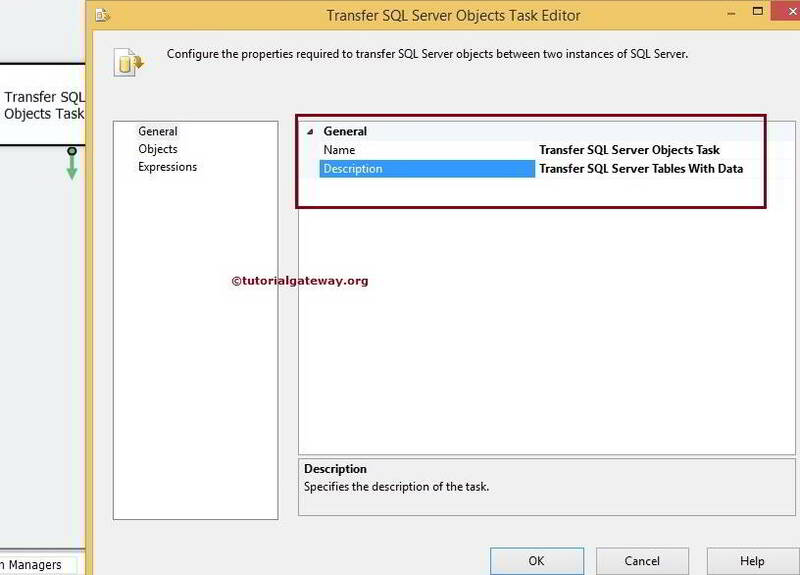 Double click on the Transfer SQL Server Objects will open the Transfer SQL Server Objects Task Editor to configure it. In this tab you can write your own Name and description as per the project requirements. 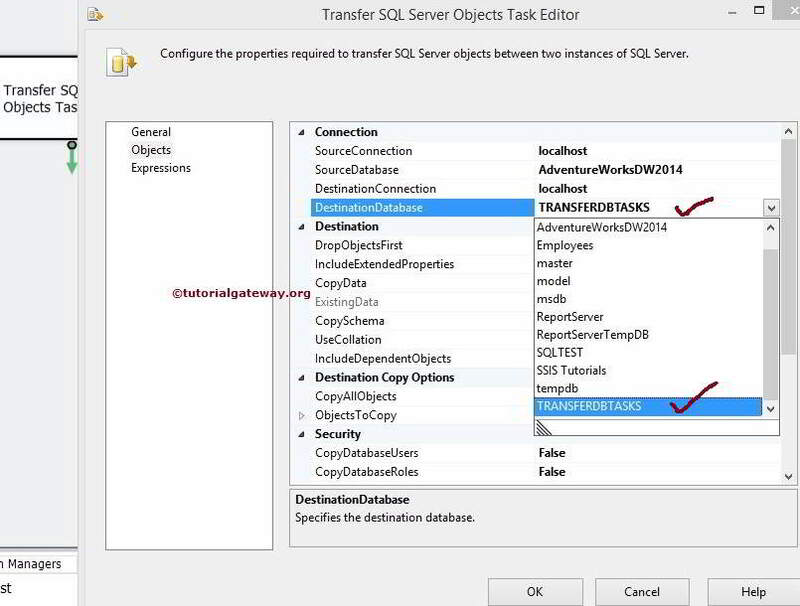 Here we haven’t changed the Name but we changed the description as Transfer SQL Server Table with Data. STEP 2: Select the SourceConnection property and click on it to create New connection. If you already created then select it. 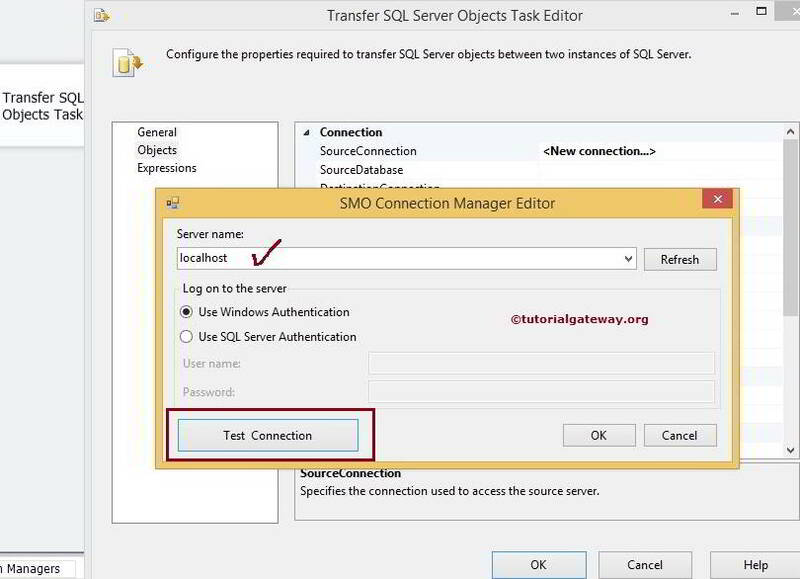 Once you click on <New connection…> an SMO Connection Manager Editor window will be opened to configure the connection. STEP 3: For this example, we are selecting our localhost instance and we are using Windows Authentication. If you are working for an organization then select the SQL Server Authentication and provide the credentials. Click on the Test connection button to check whether the connection is throwing errors or not. STEP 4: Click on the SourceDatabase option and select the database you want to use. For now we are selecting [Adventure works DW 2014] as shown below. STEP 5: Select the DestinationConnection property and click on to create New connection. If you already created then select it. We already mentioned localhost instance in SourceConnection and here also we are going to use the same instance. If you want to create new one then click on will open SMO Connection Manager Editor window to configure the connection. STEP 6: Click on the DestinationDatabase option and select the database you want to use. 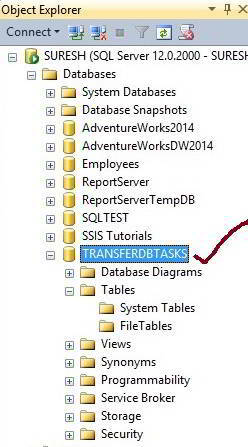 For now we are selecting [TRANSFER DB TASKS] as shown below. 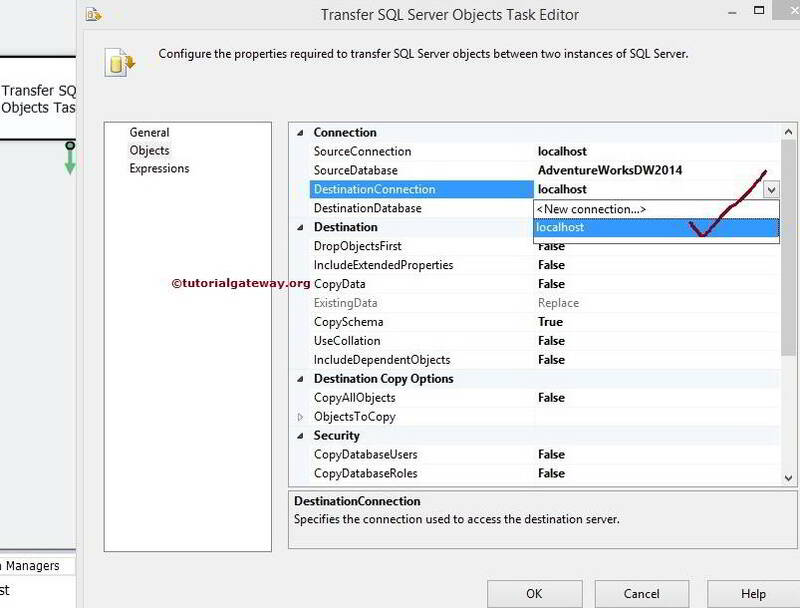 STEP 7: Click on the CopyData property and change the option from default False to True because, In this example we are willing to transfer SQL Server Database tables along with Data from source to destination. 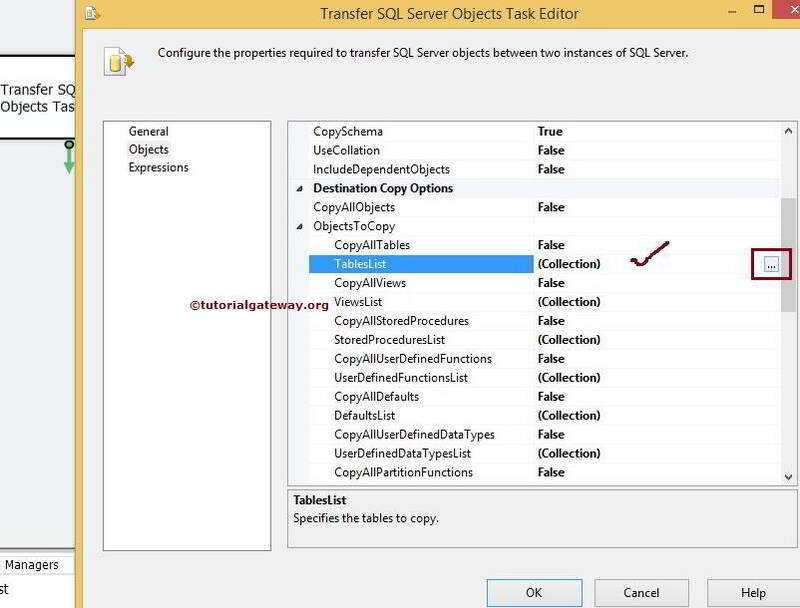 By changing CopyData property option from False to True Transfer SQL Server Objects Task will copy the tables and also data inside the tables. 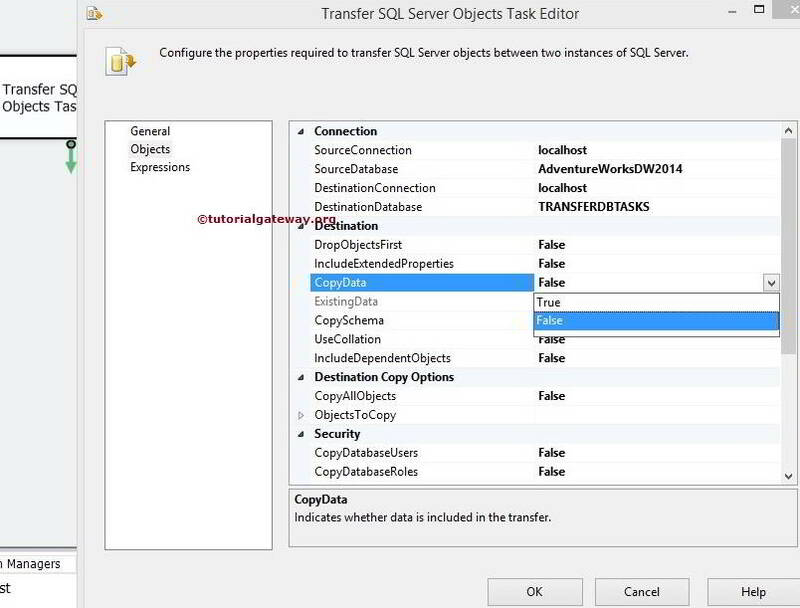 STEP 8: If your requirement is to copy all the objects (views, function, stored procedures, tables) from the source database then set CopyAllObjects option to True. In this example, We are going to send few tables so we leave it to default False. If we set CopyAllObjects option to False, next property ObjectsToCopy will get enabled. STEP 9: Click on the ObjectsToCopy property to configure it. 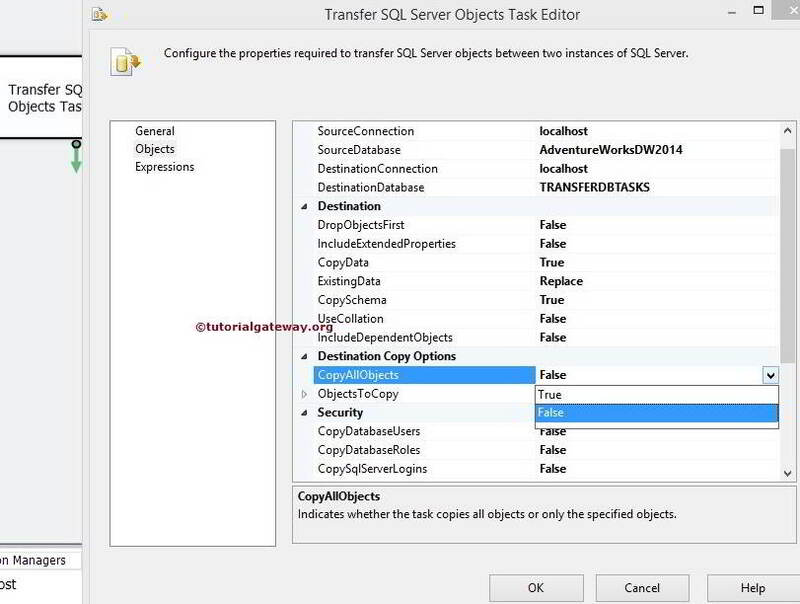 ObjectsToCopy property will explore many options of the Transfer SQL Server Objects Task. Let us concentrate on options that belong or related to this example. In this example, Our requirement is transferring the tables so we have to understand first two options only such as CopyAllTables and TableList. 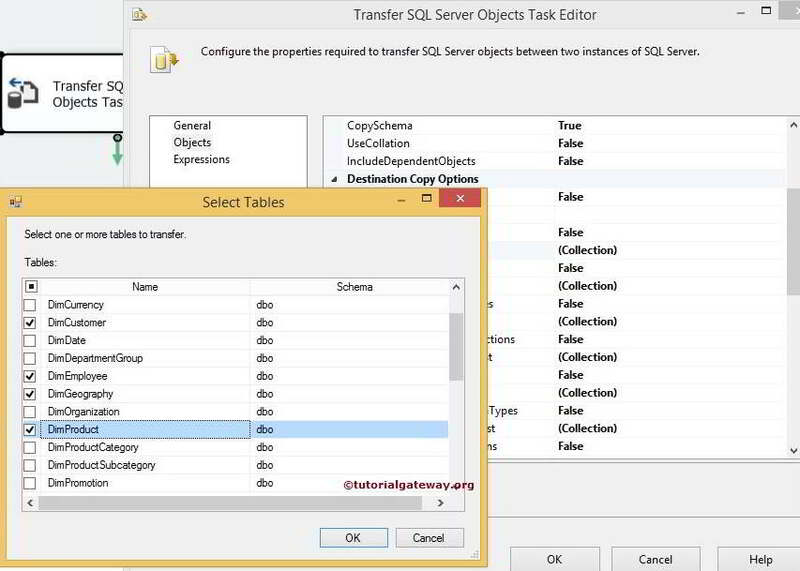 If your requirement is to copy all the tables from the source database then set CopyAllTables option to True. In this example, We are going to send few tables so we leave it to default False. NOTE: If you set CopyAllTables option to True then there is no point in select the tables from TableList option. STEP 10: Click on the TableList option and click on the collections. Once you click on the (…) button besides Collections, it will open the Select Tables window to select the available tables from the source connection. For this example we are selecting 3 tables ([Dim Customer], [Dim Employee], [Dim Product] and [Dim Geography]) only but you can try with some more tables. 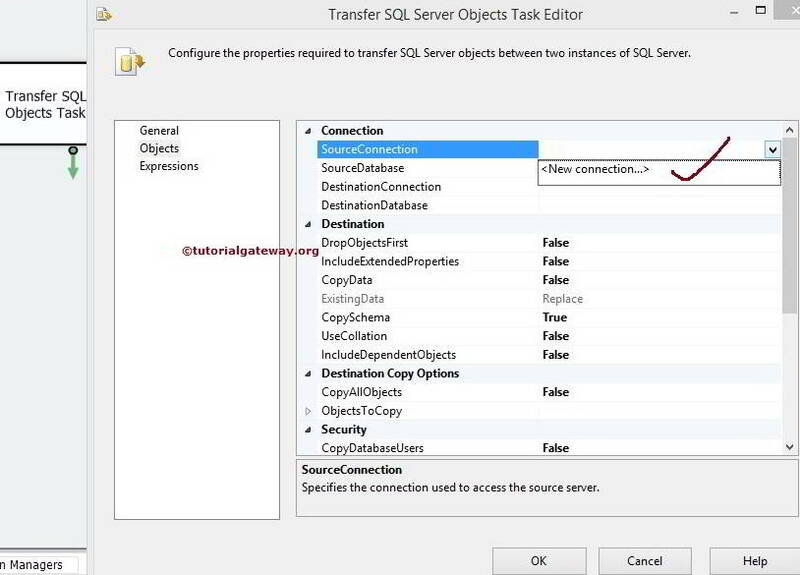 STEP 11: Click ok to close the Select Tables window and then click ok to finish configuring the Transfer SQL Server Objects Task. 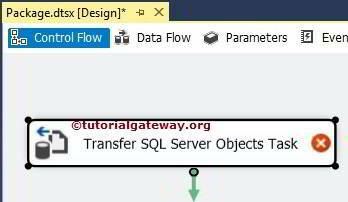 Let us run the package to see whether we successfully transferred the SQL Server table with Data from source to destination. Let’s open the SQL Server Management Studio and check for the tables. From the above screenshot you can observe that, We successfully transferred the SQL Server tables and their Data.